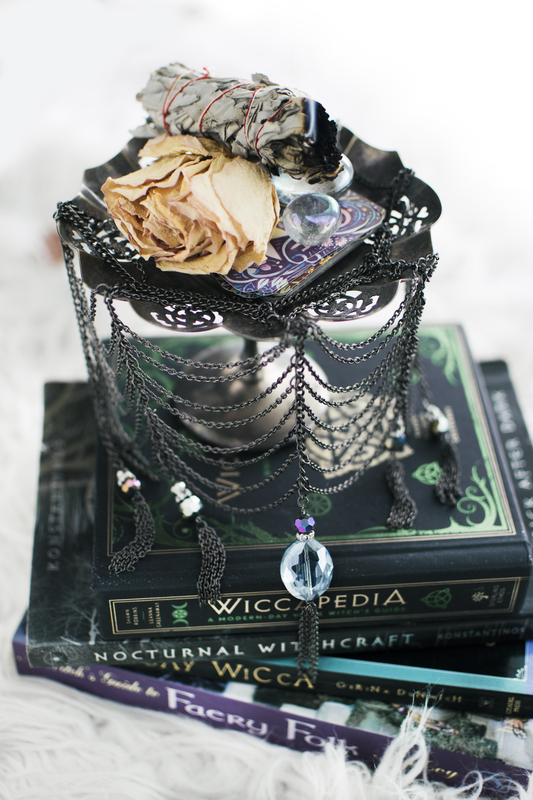 This DIY Crystal Spiderweb Statement Necklace is part goth-chic, part sparkle-glam and totally fitting for Halloween season! 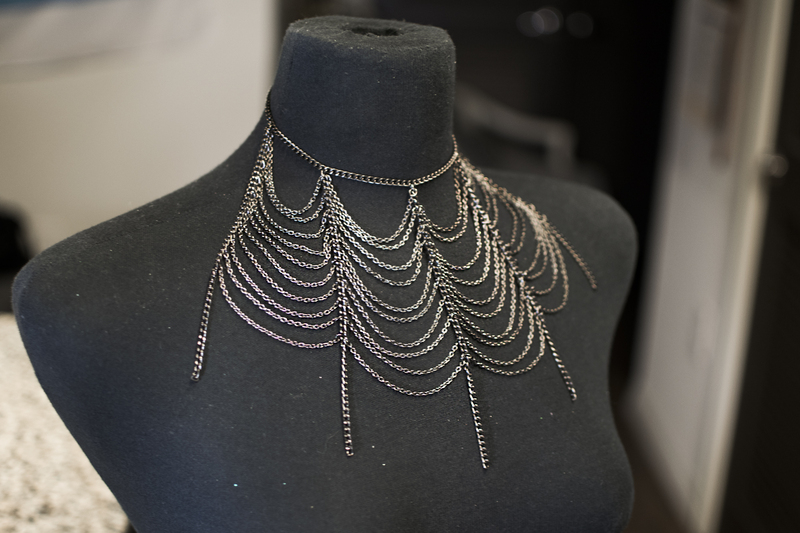 Chain, crystal beads, jumprings and a few eyepins are all you need to create this choker – the webbed effect is simply made by connecting small pieces of chain together. It’s easy, especially if working on a neck form or dress form! 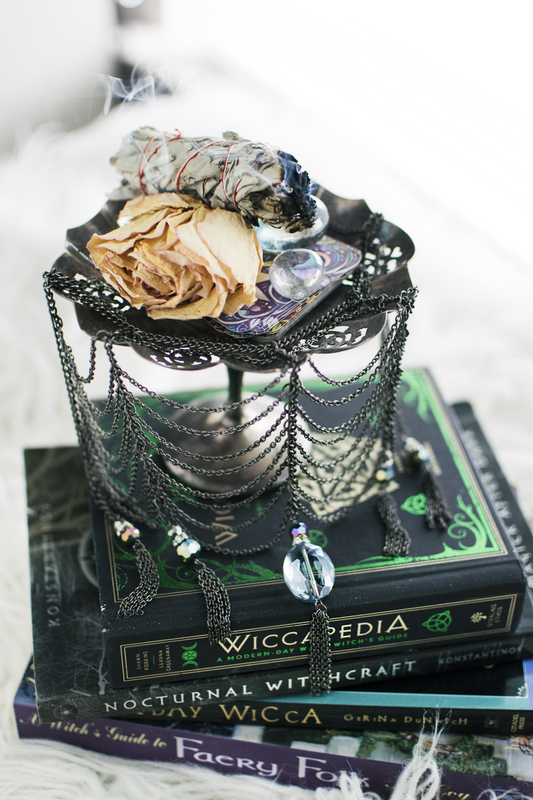 Using gunmetal plated metal and findings really gives this a very gothic look – but feel free to change to a silver if you’re looking for a brighter piece. 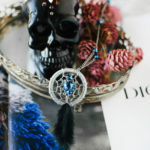 As always, customize the bead colors and finishes too to suit your mood! Gather materials. 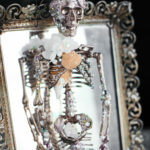 You’ll need cable chain (approx 2.5mm and 1.5mm), assorted crystal beads, a lobster clasp, 4mm jump rings, eye pins and pliers (roundnose, wire cutters and flatnose). 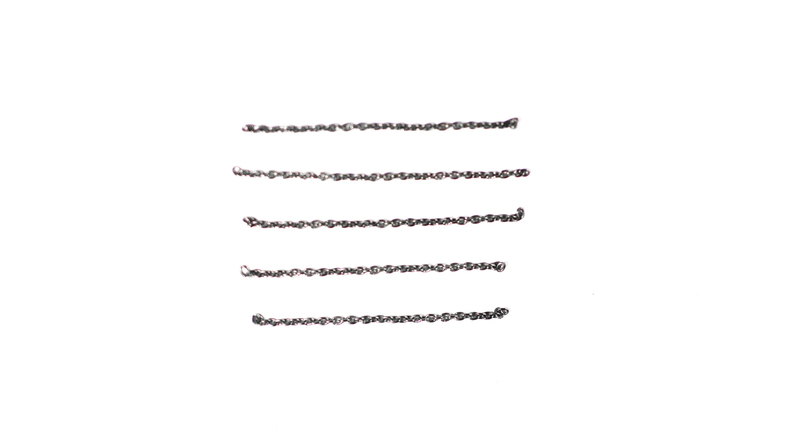 Cut a piece of the larger cable chain to choker-length…this varies on everyone, usually it’s around 12-14″. Measure yourself to make sure it will fit right! Cut five 6″ pieces of the same cable chain. 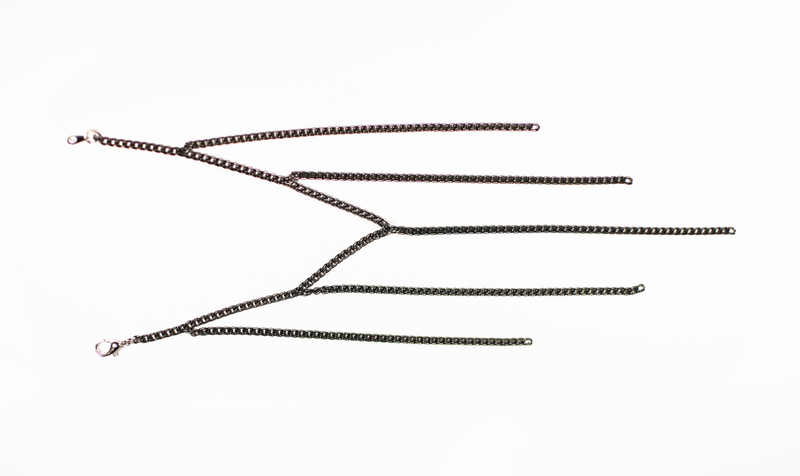 Connect a lobster clasp to one end of the choker chain with a jumpring. 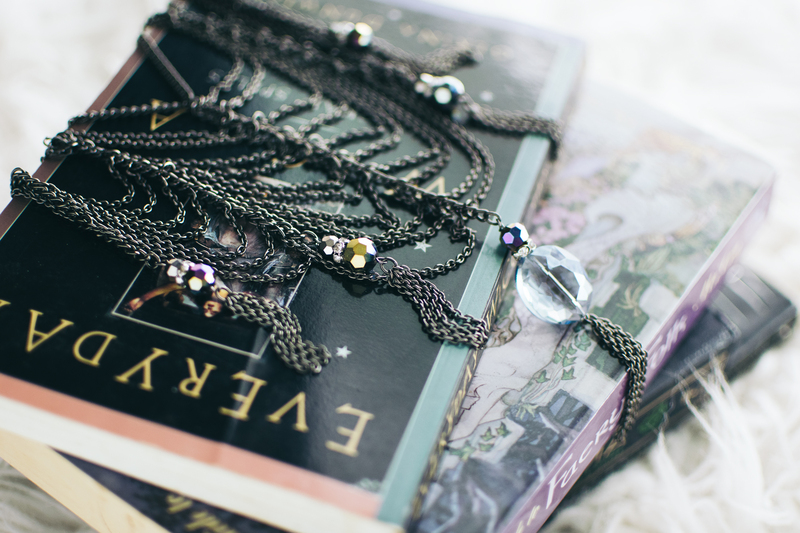 Connect another 4mm jumpring to the other side — you can choose to add a small length of extender chain as well, if you want to be able to adjust your choker. 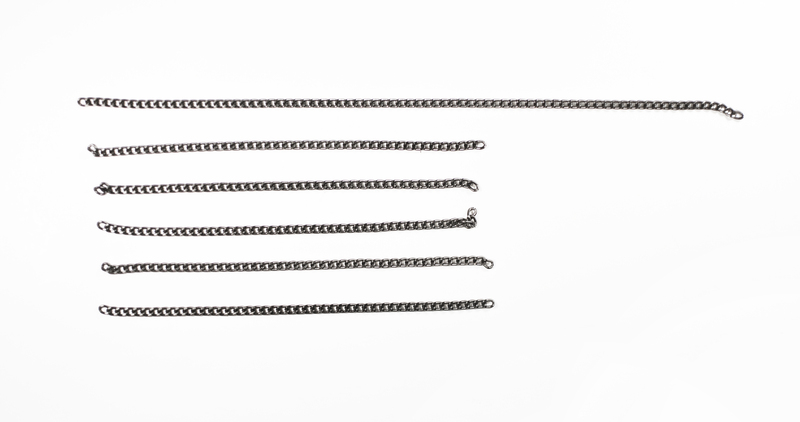 On the very center chain link, use another 4mm jumpring to connect one piece of the 6″ chain. 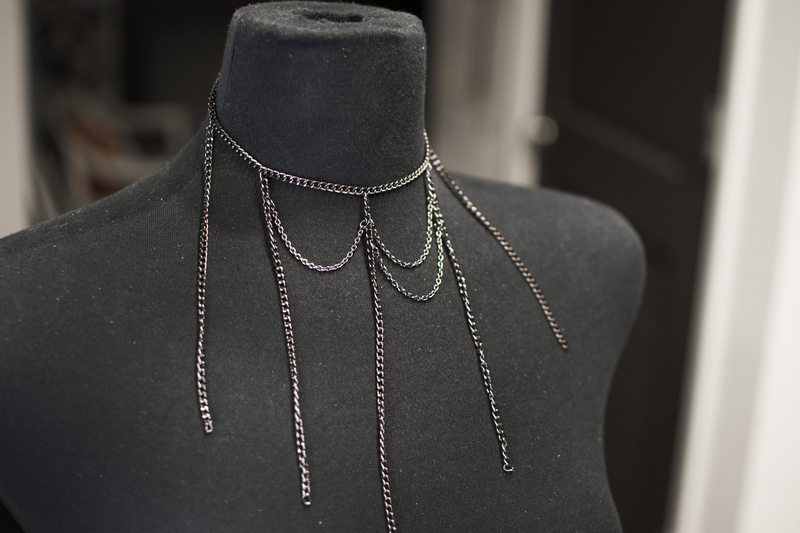 Connect the 4 other pieces of chain evenly across the choker, using 4mm jump rings. 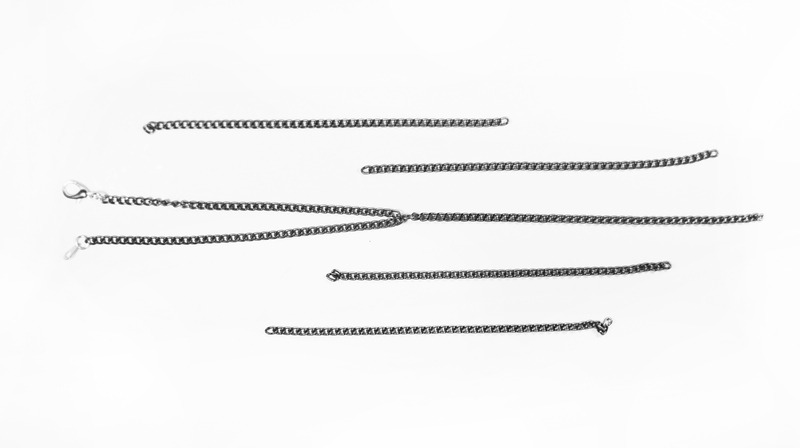 Cut forty 3″ pieces of the smaller cable chain. 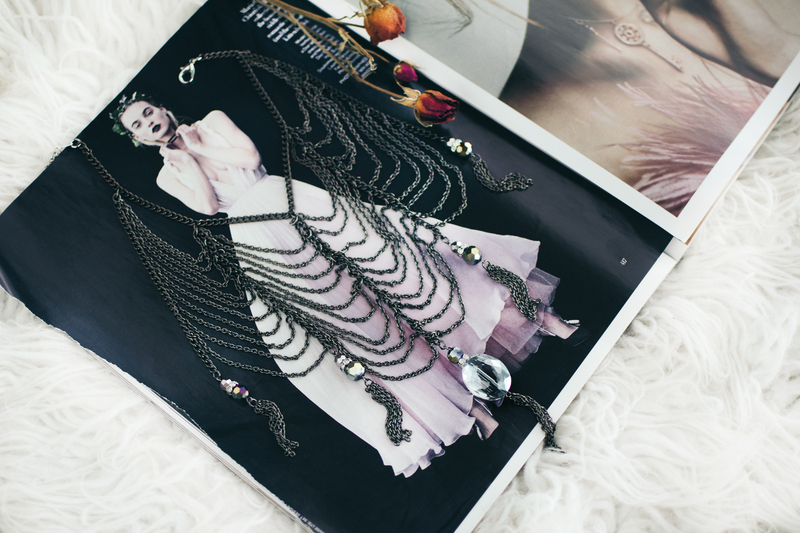 Connect the small chain pieces to the long chain drops with 4mm jumprings, in a web-like pattern. I like working on a dress form because I feel it’s much easier to see the piece coming together! 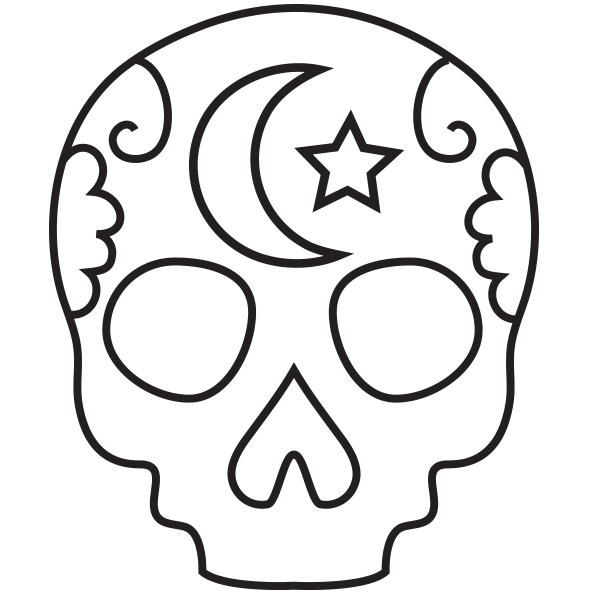 Place the pieces 3 links apart, down the chain drops, in the 4 empty zones….. I connected both ends of chains the same link in the long chain drop, so the look is very symmetrical. Keep filling up the zones until you have 10 pieces per zone. 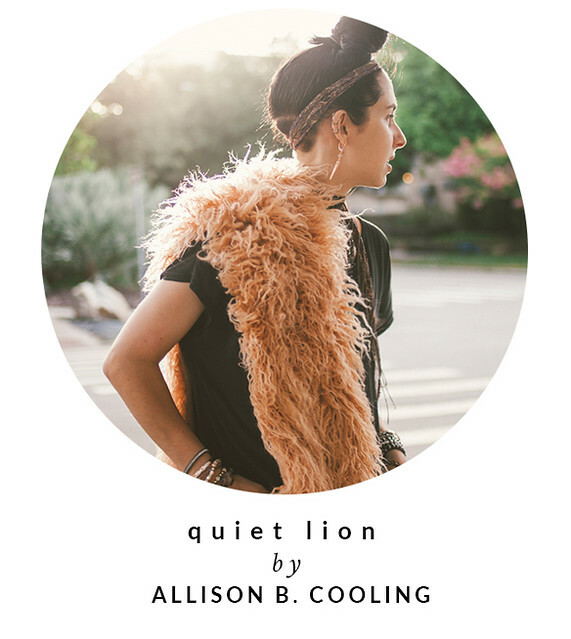 Your choker should look like the above image! 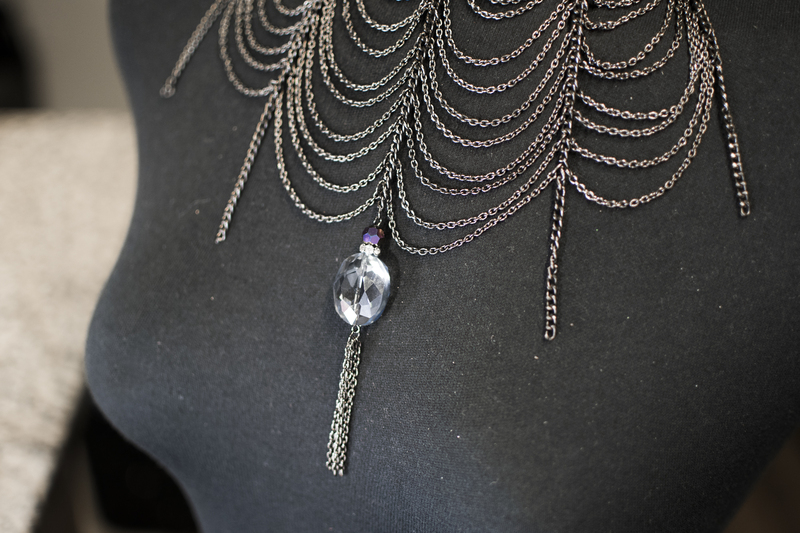 Make sure the long chain drops are NOT twisted as you insert links – otherwise, your piece will surely get tangled, no bueno. 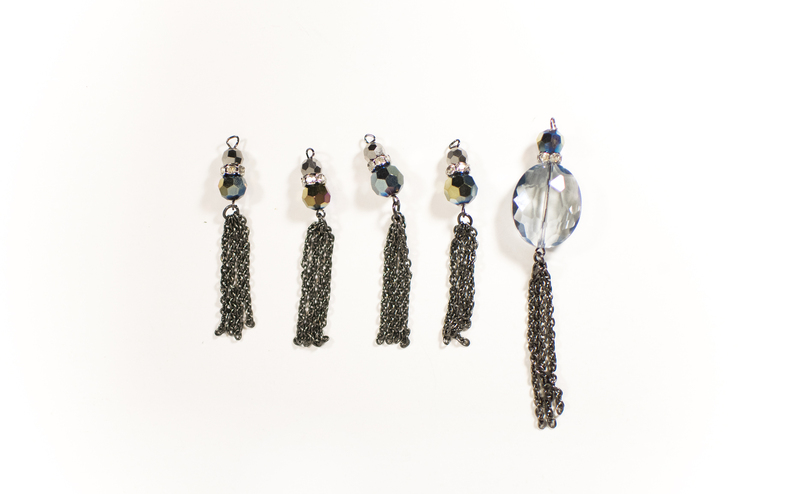 Create 5 bead drop tassels with faceted crystals, eye pins, and any extra chain you’ve got laying around. I chose to do a larger accent for my middle chain drop. 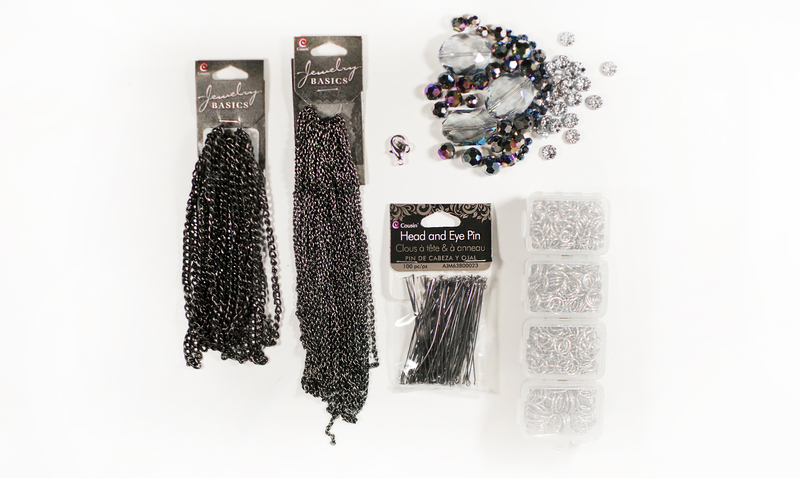 Leave 2 chain links under the last chain swag and remove the rest – add your bead drop tassels to the ends of the chain with another 4mm jumpring. Largest crystal accent in the middle! 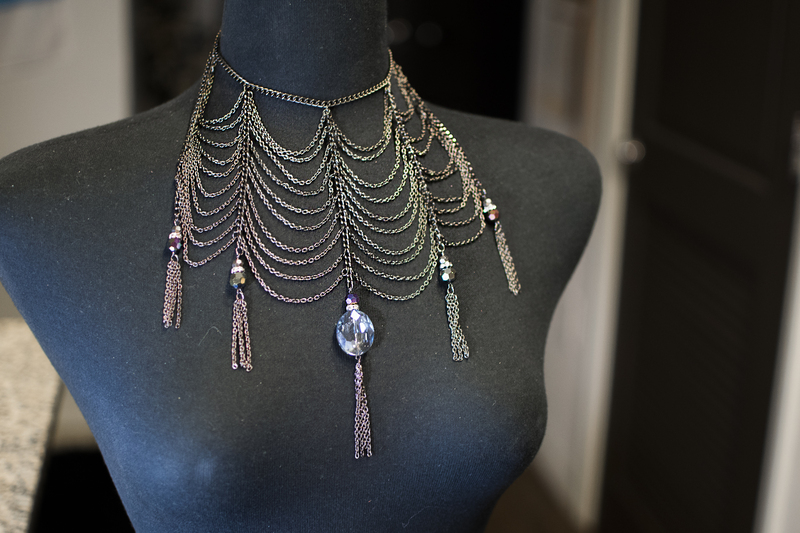 Continue cutting excess chained finish by adding all tassel accents. 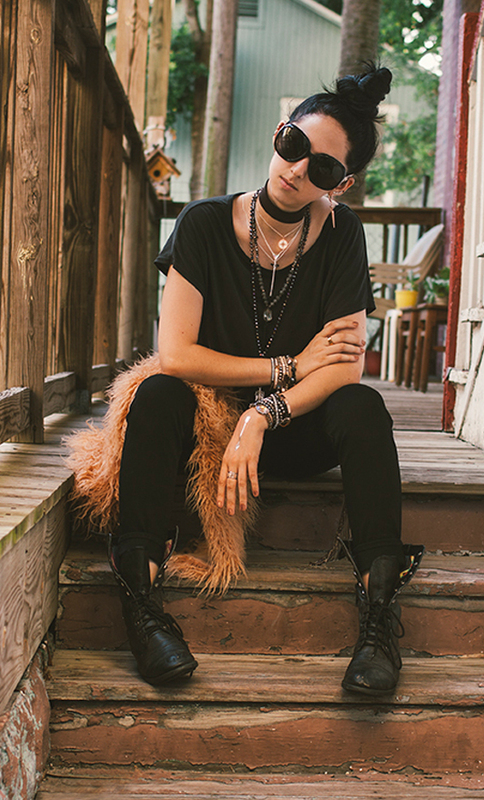 Wear this piece as part of your Halloween night outfit – or, if you’re about that goth lifestyle, rock it daily!